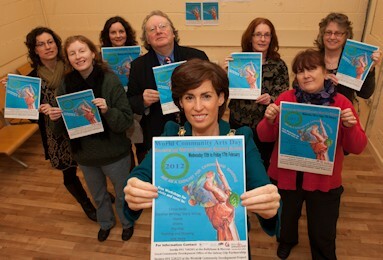 The 6th World Community Arts Day (WCAD) takes place Friday 17 February 2012. 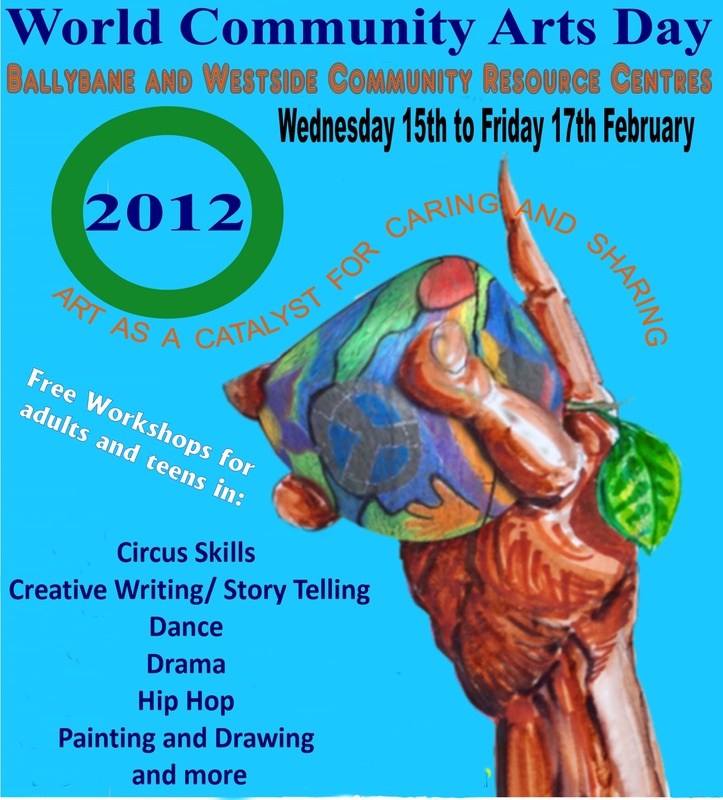 Galway City Community Forum (GCCF), along with community organizations in Westside and Ballybane, is participating in this global event by organizing a series of free ‘taster workshops’ in drama, circus skills, art, dance, hip-hop, and creative writing to be held in the city on Wednesday 15 and Friday 17 February. Workshops are at beginners level and are free of charge but, as places are limited, anyone interested in becoming involved in Galway’s WCAD events should contact Imelda in Ballybane 091 768305 or Vernice in Westside on 091 528325 by 14 February.